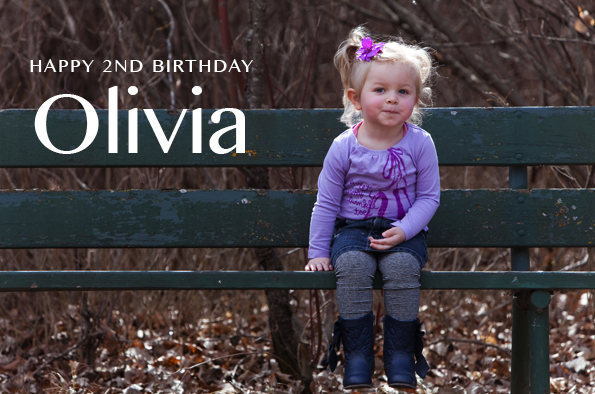 Over the past couple of days we’ve had the chance to celebrate Olivia’s birthday with our family. Sunday included a picnic in the park and a trip to the zoo. Olivia’s favourite part (besides the canine guest of honour: Coda) was probably riding around the zoo in a little “safari Jeep” wagon as we looked for animals. Today (her actual day of birth) was the day of ultra tea parties. We’re pretty proud of our little kiddo, who amazes us hourly with all the things she’s learning, the jokes she has up her sleeve, and the personality that’s unfolding before our eyes.